The article Estate Taxes an Historical Perspective from the Heritage foundation has a brief history of estate taxes. The document Estate Taxes : Ninety Years and Counting from the IRS has lost of information as well. Estate taxes date back to the 700 B.C in Egypt. The first estate tax in the USA was passed in 1797. It was in the form of a stamp tax on wills. That one only lasted a few years before it was repealed. Later in the 1800's there were estate taxes imposed temporarily to fund wars. In 1916 the modern version of the estate tax was started. Since then it has been changed and revised numerous times to get to where it is today. 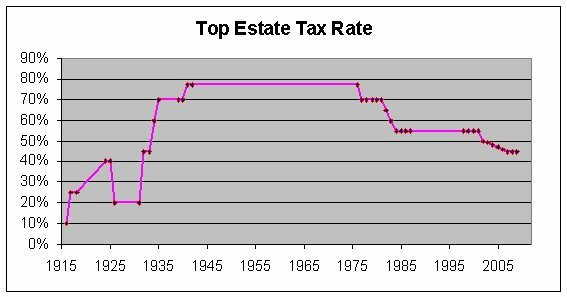 As of today in 2010 the estate tax is repealed for this year. 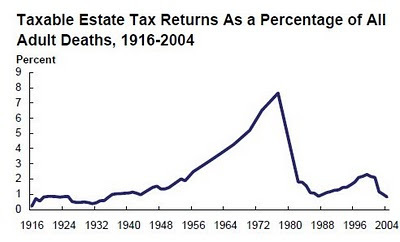 The exact nature of the estate tax in 2011 and later is currently being debated. 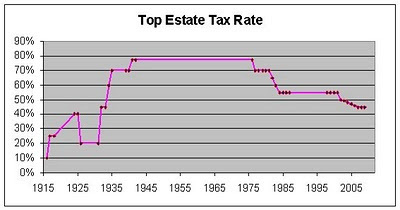 Below I look at the history of the estate tax from 2009 and before. As you can see the top rate rose from 1916 to 1940's. From 1941 to 1976 the top rate was 77%. Since the 1970's the top rate has been dropping. Note that this is the TOP rate and did not apply to the entire estate. During the 1980's and 1990's the exemption was mostly flat around $600,000 to $675,000 so inflation eroded it. 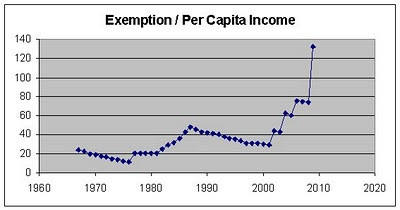 But then in the 2000's the exemption grew drastically to far outpace inflation or wage growth. 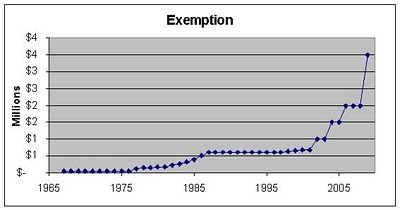 In 1976 the exemption was 11 times the average personal income. 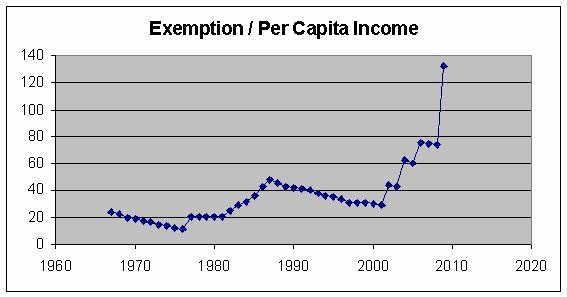 The $2M exemption in 2008 was about 74 times average personal income and the $3.5M exemption in 2009 was over 130 times personal income. You can see that the % of adult deaths resulting in an estate tax bill peaked around 7% in the 1970's but then dropped down under 2% by 2004.